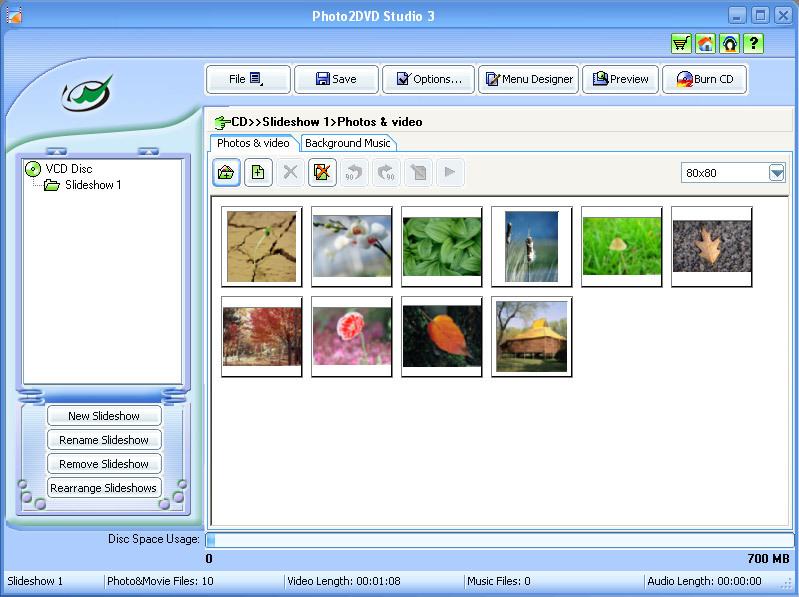 Photo2VCD Studio is a powerful but easy to use photo slide show software that can help you to burn your digital photo slide show to VCD/SVCD format with lots of transition effects and selection menu. Photo2DVD Studio is a powerful yet easy-to-use Photo to DVD software for creating DVD photo slideshow. 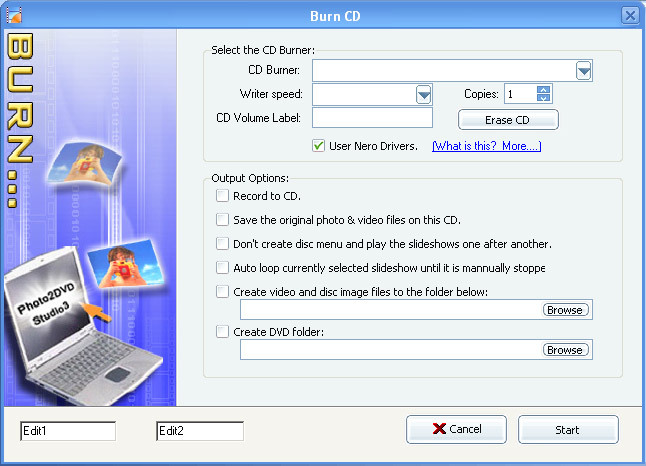 With this software, you can easily create DVD Slideshow on TV and share the digital photos with your families. Even kids can make the stunning Photos to DVD slideshow! 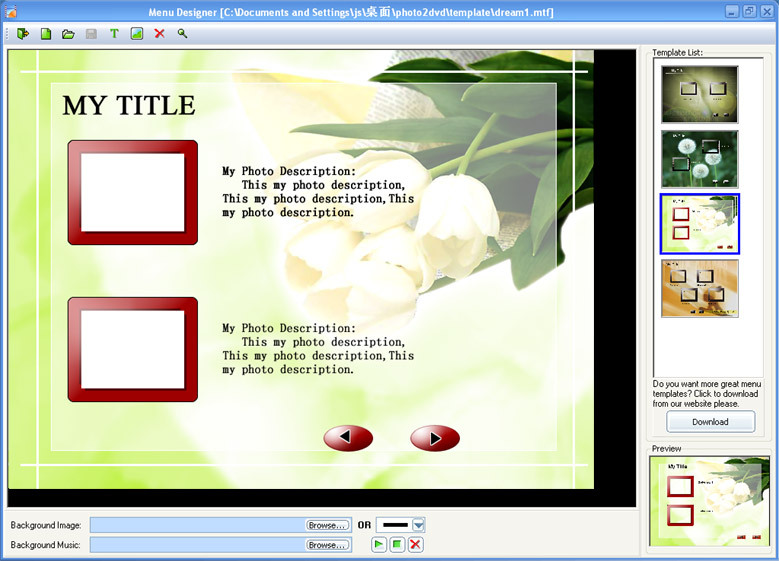 Photo2DVD Studio gives you a very nice photo slideshow on TV with DVD player. With just a few clicks, you can easily add you photos or video clips, select menu template and music, burn your photo slideshows in DVD format and share your special memories with your friends and family!